Paul Johannes Tillich (August 20, 1886 – October 22, 1965) was a German American Christian existentialist philosopher and Lutheran theologian who is widely regarded as one of the most influential theologians of the twentieth century. Tillich was born on August 20, 1886, in the small village of Starzeddel (Starosiedle), Province of Brandenburg, which village was then part of Germany. He was the oldest of three children, with two sisters: Johanna (born 1888, died 1920) and Elisabeth (born 1893). Tillich’s Prussian father Johannes Tillich was a conservative Lutheran pastor of the Evangelical State Church of Prussia's older Provinces; his mother Mathilde Dürselen was from the Rhineland and more liberal. When Tillich was four, his father became superintendent of a diocese in Bad Schönfliess (now Trzcińsko-Zdrój, Poland), a town of three thousand, where Tillich began secondary school (Elementarschule). In 1898, Tillich was sent to Königsberg in der Neumark (now Chojna, Poland) to begin his gymnasium schooling. He was billeted in a boarding house and experienced a loneliness that he sought to overcome by reading the Bible while encountering humanistic ideas at school. In 1900, Tillich’s father was transferred to Berlin, Tillich switching in 1901 to a Berlin school, from which he graduated in 1904. Before his graduation, however, his mother died of cancer in September 1903, when Tillich was 17. Tillich attended several universities—the University of Berlin beginning in 1904, the University of Tübingen in 1905, and the University of Halle-Wittenberg from 1905 to 1907. He received his Doctor of Philosophy degree at the University of Breslau in 1911 and his Licentiate of Theology degree at Halle-Wittenberg in 1912. During his time at university, he became a member of the Wingolf in Berlin, Tübingen and Halle. That same year, 1912, Tillich was ordained as a Lutheran minister in the Province of Brandenburg. On 28 September 1914 he married Margarethe ("Grethi") Wever (1888–1968), and in October he joined the Imperial German Army as a chaplain during World War I. Grethi deserted Tillich in 1919 after an affair that produced a child not fathered by Tillich; the two then divorced. [page needed] Tillich’s academic career began after the war; he became a Privatdozent of Theology at the University of Berlin, a post he held from 1919 to 1924. On his return from the war he had met Hannah Werner-Gottschow, then married and pregnant. In March 1924 they married; it was the second marriage for both. While at the University of Frankfurt, Tillich gave public lectures and speeches throughout Germany that brought him into conflict with the Nazi movement. When Adolf Hitler became German Chancellor in 1933, Tillich was dismissed from his position. Reinhold Niebuhr visited Germany in the summer of 1933 and, already impressed with Tillich’s writings, contacted Tillich upon learning of Tillich’s dismissal. Niebuhr urged Tillich to join the faculty at New York City’s Union Theological Seminary; Tillich accepted. At the age of 47, Tillich moved with his family to America. This meant learning English, the language in which Tillich would eventually publish works such as the Systematic Theology. From 1933 until 1955 he taught at Union Theological Seminary, where he began as a Visiting Professor of Philosophy of Religion. During 1933–34 he was also a Visiting Lecturer in Philosophy at Columbia University. The Fellowship of Socialist Christians was organized in the early 1930s by Reinhold Niebuhr and others with similar views. Later it changed its name to Frontier Fellowship and then to Christian Action. The main supporters of the Fellowship in the early days included Tillich, Eduard Heimann, Sherwood Eddy and Rose Terlin. In its early days the group thought capitalist individualism was incompatible with Christian ethics. Although not Communist, the group acknowledged Karl Marx's social philosophy. Tillich’s gravestone in the Paul Tillich Park, New Harmony, Indiana. Tillich acquired tenure at the Union Theological Seminary in 1937, and in 1940 he was promoted to Professor of Philosophical Theology and became an American citizen. At Union, Tillich earned his reputation, publishing a series of books that outlined his particular synthesis of Protestant Christian theology and existential philosophy. He published On the Boundary in 1936; The Protestant Era, a collection of his essays, in 1948; and The Shaking of the Foundations, the first of three volumes of his sermons, also in 1948. His collections of sermons would give Tillich a broader audience than he had yet experienced. His most heralded achievements though, were the 1951 publication of volume one of Systematic Theology which brought Tillich academic acclaim, and the 1952 publication of The Courage to Be. The first volume of the systematic theology series prompted an invitation to give the prestigious Gifford lectures during 1953–54 at the University of Aberdeen. The latter book, called "his masterpiece", was based on his 1950 Dwight H. Terry Lectureship and reached a wide general readership. These works led to an appointment at the Harvard Divinity School in 1955, where he became one of the University’s five University Professors – the five highest ranking professors at Harvard. In 1961 Tillich became one of the founding members of the Society for the Arts, Religion and Contemporary Culture, an organization with which he maintained ties for the remainder of his life. During this period, he published volume 2 of Systematic Theology and also the popular book Dynamics of Faith (both 1957). His career at Harvard lasted until 1962 when he moved to the University of Chicago, remaining a professor of theology there until his death in 1965. Volume 3 of Systematic Theology was published in 1963. In 1964, Tillich became the first theologian to be honored in Kegley and Bretall's Library of Living Theology: "The adjective ‘great,’ in our opinion, can be applied to very few thinkers of our time, but Tillich, we are far from alone in believing, stands unquestionably amongst these few". A widely quoted critical assessment of his importance was Georgia Harkness' comment: "What Whitehead was to American philosophy, Tillich has been to American theology". Tillich died on October 22, 1965, ten days after having a heart attack. In 1966, his ashes were interred in the Paul Tillich Park in New Harmony, Indiana. The key to understanding Tillich’s theology is what he calls the "method of correlation." It is an approach that correlates insights from Christian revelation with the issues raised by existential, psychological, and philosophical analysis. In addition to the intimate relationship between philosophy and theology, another important aspect of the method of correlation is Tillich’s distinction between form and content in the theological answers. While the nature of revelation determines the actual content of the theological answers, the character of the questions determines the form of these answers. This is because, for Tillich, theology must be an answering theology, or apologetic theology. God is called the “ground of being” because God is the answer to the ontological threat of non-being, and this characterization of the theological answer in philosophical terms means that the answer has been conditioned (insofar as its form is considered) by the question. Throughout the Systematic Theology, Tillich is careful to maintain this distinction between form and content without allowing one to be inadvertently conditioned by the other. Many criticisms of Tillich’s methodology revolve around this issue of whether the integrity of the Christian message is really maintained when its form is conditioned by philosophy. As McKelway explains, the sources of theology contribute to the formation of the norm, which then becomes the criterion through which the sources and experience are judged. The relationship is circular, as it is the present situation which conditions the norm in the interaction between church and biblical message. The norm is then subject to change, but Tillich insists that its basic content remains the same: that of the biblical message. It is tempting to conflate revelation with the norm, but we must keep in mind that revelation (whether original or dependent) is not an element of the structure of systematic theology per se, but an event. For Tillich, the present-day norm is the “New Being in Jesus as the Christ as our Ultimate Concern”. This is because the present question is one of estrangement, and the overcoming of this estrangement is what Tillich calls the “New Being”. But since Christianity answers the question of estrangement with “Jesus as the Christ”, the norm tells us that we find the New Being in Jesus as the Christ. …It is the expression of the experience of being over against non-being. Therefore, it can be described as the power of being which resists non-being. For this reason, the medieval philosophers called being the basic transcendentale, beyond the universal and the particular… The same word, the emptiest of all concepts when taken as an abstraction, becomes the most meaningful of all concepts when it is understood as the power of being in everything that has being. … "Man, like every living being, is concerned about many things, above all about those which condition his very existence...If [a situation or concern] claims ultimacy it demands the total surrender of him who accepts this claim...it demands that all other concerns...be sacrificed." … "Faith as ultimate concern is an act of the total personality. It is the most centered act of the human mind...it participates in the dynamics of personal life." … "It transcends both the drives of the nonrational unconsciousness and the structures of the rational conscious...the ecstatic character of faith does not exclude its rational character although it is not identical with it, and it includes nonrational strivings without being identical with them. 'Ecstasy' means 'standing outside of oneself' - without ceasing to be oneself - with all the elements which are united in the personal center." Tillich goes further to say that the desire to draw God into the subject-object dichotomy is an "insult" to the divine holiness. Similarly, if God were made into the subject rather than the object of knowledge (The Ultimate Subject), then the rest of existing entities then become subjected to the absolute knowledge and scrutiny of God, and the human being is "reified," or made into a mere object. It would deprive the person of his or her own subjectivity and creativity. According to Tillich, theological theism has provoked the rebellions found in atheism and Existentialism, although other social factors such as the industrial revolution have also contributed to the "reification" of the human being. The modern man could no longer tolerate the idea of being an "object" completely subjected to the absolute knowledge of God. Tillich argued, as mentioned, that theological theism is "bad theology". The God of the theological theism is a being besides others and as such a part of the whole reality. He is certainly considered its most important part, but as a part and therefore as subjected to the structure of the whole. He is supposed to be beyond the ontological elements and categories which constitute reality. But every statement subjects him to them. He is seen as a self which has a world, as an ego which relates to a thought, as a cause which is separated from its effect, as having a definite space and endless time. He is a being, not being-itself"
Alternatively, Tillich presents the above-mentioned ontological view of God as Being-Itself, Ground of Being, Power of Being, and occasionally as Abyss or God's "Abysmal Being". What makes Tillich's ontological view of God different from theological theism is that it transcends it by being the foundation or ultimate reality that "precedes" all beings. Just as Being for Heidegger is ontologically prior to conception, Tillich views God to be beyond Being-Itself, manifested in the structure of beings. God is not a supernatural entity among other entities. Instead, God is the ground upon which all beings exist. We cannot perceive God as an object which is related to a subject because God precedes the subject-object dichotomy. Thus Tillich dismisses a literalistic Biblicism. Instead of rejecting the notion of personal God, however, Tillich sees it as a symbol that points directly to the Ground of Being. Since the Ground of Being ontologically precedes reason, it cannot be comprehended since comprehension presupposes the subject-object dichotomy. Tillich disagreed with any literal philosophical and religious statements that can be made about God. Such literal statements attempt to define God and lead not only to anthropomorphism but also to a philosophical mistake that Immanuel Kant warned against, that setting limits against the transcendent inevitably leads to contradictions. Any statements about God are simply symbolic, but these symbols are sacred in the sense that they function to participate or point to the Ground of Being. Tillich insists that anyone who participates in these symbols is empowered by the Power of Being, which overcomes and conquers nonbeing and meaninglessness. … In such a state the God of both religious and theological language disappears. But something remains, namely, the seriousness of that doubt in which meaning within meaninglessness is affirmed. The source of this affirmation of meaning within meaninglessness, of certitude within doubt, is not the God of traditional theism but the "God above God," the power of being, which works through those who have no name for it, not even the name God. In Paul Tillich's work The Courage to Be he defines courage as the self-affirmation of one’s being in spite of a threat of nonbeing. He relates courage to anxiety, anxiety being the threat of non-being and the courage to be what we use to combat that threat. For Tillich, he outlines three types of anxiety and thus three ways to display the courage to be. 1) The Anxiety of Fate and Death a. The Anxiety of Fate and Death is the most basic and universal form of anxiety for Tillich. It relates quite simply to the recognition of our mortality. This troubles us humans. We become anxious when we are unsure whether our actions create a causal damnation which leads to a very real an unavoidable death (42-44). “Nonbeing threatens man’s ontic self-affirmation, relatively in terms of fate, absolutely in terms of death” (41). b. We display courage when we cease to rely on others to tell us what will come of us, (what will happen when we die etc.) and begin seeking those answers out for ourselves. Called the “courage of confidence” (162-63). 2) The Anxiety of Guilt and Condemnation a. This anxiety afflicts our moral self-affirmation. We as humans are responsible for our moral being, and when asked by our judge (whomever that may be) what we have made of ourselves we must answer. The anxiety is produced when we realize our being is unsatisfactory. “It [Nonbeing] threatens man’s moral self-affirmation, relatively in terms of guilt, absolutely in terms of condemnation” (41). b. We display courage when we first identify our sin; despair or whatever is causing us guilt or afflicting condemnation. We then rely on the idea that we are accepted regardless. “The courage to be is the courage to accept oneself as accepted in spite of being unacceptable” (164). 3) The Anxiety of Meaningless and Emptiness a. The Anxiety of Meaninglessness and Emptiness attacks our being as a whole. We worry about the loss of an ultimate concern or goal. This anxiety is also brought on by a loss of spirituality. We as beings feel the threat of non-being when we feel we have no place or purpose in the world. “It [Nonbeing] threatens man’s spiritual self-affirmation, relatively in terms of emptiness, absolutely in terms of meaninglessness” (41). b. We display the courage to be when facing this anxiety by displaying true faith, and by again, self-affirming oneself. We draw from the “power of being” which is God for Tillich and use that faith to in turn affirm ourselves and negate the non-being. We can find our meaning and purpose through the “power of being” (172-73). Today, Tillich’s most observable legacy may well be that of a spiritually-oriented public intellectual and teacher with a broad and continuing range of influence. Tillich‘s chapel sermons (especially at Union) were enthusiastically received (Tillich was known as the only faculty member of his day at Union willing to attend the revivals of Billy Graham.) Tillich's students have commented on Tillich's approachability as a lecturer and his need for interaction with his audience. When Tillich was University Professor at Harvard, he was chosen as keynote speaker from among an auspicious gathering of many who had appeared on the cover of Time Magazine during its first four decades. Tillich along with his student, psychologist Rollo May, was an early leader at the Esalen Institute. Contemporary New Age catchphrases describing God (spatially) as the "Ground of Being" and (temporally) as the "Eternal Now," in tandem with the view that God is not an entity among entities but rather is "Being-Itself"—notions which Eckhart Tolle, for example, has invoked repeatedly throughout his career—were paradigmatically renovated by Tillich, although of course these ideas derive from Christian mystical sources as well as from ancient and medieval theologians such as St. Augustine and St. Thomas Aquinas. The introductory philosophy course taught by the person Tillich considered to be his best student, John Edwin Smith, "probably turned more undergraduates to the study of philosophy at Yale than all the other philosophy courses put together. His courses in philosophy of religion and American philosophy defined those fields for many years. Perhaps most important of all, he has educated a younger generation in the importance of the public life in philosophy and in how to practice philosophy publicly.” In the 1980s and 1990s the Boston University Institute for Philosophy and Religion, a leading forum dedicated to the revival of the American public tradition of philosophy and religion, flourished under the leadership of Tillich’s student and expositor Leroy S. Rouner. ——— (1956) [1925, Die religiose Lage der Gegenwart; Holt 1932], The Religious Situation, Meridian Press <templatestyles src="Module:Citation/CS1/styles.css"></templatestyles>. ——— (c. 1977) , The Socialist Decision, New York: Harper & Row <templatestyles src="Module:Citation/CS1/styles.css"></templatestyles>. ——— (1936), The Interpretation of History <templatestyles src="Module:Citation/CS1/styles.css"></templatestyles>. ——— (1948), The Protestant Era, The University of Chicago Press <templatestyles src="Module:Citation/CS1/styles.css"></templatestyles>. ——— (1948), The Shaking of the Foundations (sermon collection), Charles Scribner's Sons <templatestyles src="Module:Citation/CS1/styles.css"></templatestyles>. ——— (1951–1963), Systematic Theology (3 volumes)|format= requires |url= (help), University of Chicago Press <templatestyles src="Module:Citation/CS1/styles.css"></templatestyles>. ——— (1951), Systematic Theology, 1, ISBN 978-0-22680337-1 <templatestyles src="Module:Citation/CS1/styles.css"></templatestyles>. ——— (1957), Systematic Theology, 2: Existence and the Christ, ISBN 978-0-22680338-8 <templatestyles src="Module:Citation/CS1/styles.css"></templatestyles>. ——— (1952), The Courage to Be, Yale University Press, ISBN 978-0-30017002-3 <templatestyles src="Module:Citation/CS1/styles.css"></templatestyles>. ——— (2006) [1955, Charles Scribner's Sons], The New Being (sermon collection), introd. by Mary Ann Stenger, Bison Press, ISBN 978-0-80329458-5 <templatestyles src="Module:Citation/CS1/styles.css"></templatestyles>, Religion online. ——— (1963), Christianity and the Encounter of the World Religions, Columbia University Press <templatestyles src="Module:Citation/CS1/styles.css"></templatestyles>. ——— (1995) [1963, Harper & Row], Morality and Beyond, Westminster John Knox Press, ISBN 978-0-664-25564-0 <templatestyles src="Module:Citation/CS1/styles.css"></templatestyles>. ——— (2003) [1963, Charles Scribner’s Sons], The Eternal Now (university sermons 1955–63), SCM Press, ISBN 0-334-02875-2 <templatestyles src="Module:Citation/CS1/styles.css"></templatestyles>. ——— (1965), Brown, D. Mackenzie, ed., Ultimate Concern: Tillich in Dialogue, Harper & Row <templatestyles src="Module:Citation/CS1/styles.css"></templatestyles>. ——— (1984) , Anshen, Ruth Nanda, ed., My Search for Absolutes (posthumous; includes autobiographical chapter), Simon & Schuster, ISBN 0-671-50585-8 <templatestyles src="Module:Citation/CS1/styles.css"></templatestyles>. ——— (1970), Brauer, J.C, ed., My Travel Diary 1936: Between Two Worlds, Harper & Row <templatestyles src="Module:Citation/CS1/styles.css"></templatestyles>. ——— (1972), Braaten, Carl Edward, ed., A History of Christian Thought: From its Judaic and Hellenistic Origins to Existentialism, Simon & Schuster, ISBN 978-0-67121426-5 <templatestyles src="Module:Citation/CS1/styles.css"></templatestyles> (edited from his lectures and published posthumously). ——— (1981) [German, 1923], The System of the Sciences According to Objects and Methods, Paul Wiebe transl., London: Bucknell University Press, ISBN 978-0-83875013-1 <templatestyles src="Module:Citation/CS1/styles.css"></templatestyles>. ↑ 2.0 2.1 Bowker, John, ed. (2000), "Tillich, Paul Johannes Oskar", The Concise Oxford Dictionary of World Religions, Oxford Reference Online, Oxford University Press <templatestyles src="Module:Citation/CS1/styles.css"></templatestyles>. ↑ 3.0 3.1 3.2 3.3 3.4 3.5 "Tillich, Paul", Encyclopædia Britannica (online ed. ), 2008, retrieved 17 February 2008 <templatestyles src="Module:Citation/CS1/styles.css"></templatestyles>. ↑ Gesamtverzeichnis des Wingolf, Lichtenberg, 1991 <templatestyles src="Module:Citation/CS1/styles.css"></templatestyles>. ↑ 5.0 5.1 Pauck, Wilhelm & Marion 1976. ↑ "Paul Tillich, Lover", Time, October 8, 1973 <templatestyles src="Module:Citation/CS1/styles.css"></templatestyles>. ↑ O’Meara, Thomas (2006), "Paul Tillich and Erich Przywara at Davos", Gregorianum, 87: 227–38 <templatestyles src="Module:Citation/CS1/styles.css"></templatestyles>. ↑ Tillich 1964, p. 16. ↑ Pauck, Wilhelm & Marion 1976, p. 225. ↑ Kegley & Bretall 1964, pp. ix–x. ↑ Thomas, John Heywood (2002), Tillich, Continuum, ISBN 0-8264-5082-2 <templatestyles src="Module:Citation/CS1/styles.css"></templatestyles>. ↑ 15.0 15.1 Tillich 1951, p. 61. ↑ 16.0 16.1 16.2 Tillich 1951, p. 64. ↑ Tillich 1955, pp. 11–20. ↑ Tillich 1957, p. 23. ↑ Tillich 1952, pp. 58ff. ↑ Tillich 1951, p. 28. ↑ McKelway 1964, p. 47. ↑ Tillich 1951, p. 47. ↑ Tillich 1951, p. 40. ↑ Tillich 1951, p. 35. ↑ McKelway 1964, pp. 55–56. ↑ Tillich 1951, p. 52. ↑ McKelway 1964, p. 80. ↑ Tillich 1951, p. 50. ↑ Tillich 1951, p. 60. ↑ Tillich 1957, p. 10. ↑ Tillich 1957, p. 11. ↑ Biblical Religion and the Search for Ultimate Reality, University of Chicago Press: Chicago, 1955, 21-62. ↑ The Courage to Be, Yale: New Haven, 2000, 184. ↑ The Courage to Be, Yale: New Haven, 2000, 187. ↑ J. N. D. Kelly, Early Christian Doctrines, HarperCollins: New York, 1978, 128. ↑ 42.0 42.1 Tillich, Courage To Be, p 184. ↑ The Courage to Be, Yale: New Haven, 2000, 190. ↑ Tillich, Courage To Be, p 185. ↑ 47.0 47.1 Tillich, Theology of Culture, p 15. ↑ Tillich, Theology of Culture, p 127-132. ↑ "There is no present in the mere stream of time; but the present is real, as our experience witnesses. And it is real because eternity breaks into time and gives it a real present. We could not even say now, if eternity did not elevate that moment above the ever-passing time. Eternity is always present; and its presence is the cause of our having the present at all. When the psalmist looks at God, for Whom a thousand years are like one day, he is looking at that eternity which alone gives him a place on which he can stand, a now which has infinite reality and infinite significance. In every moment that we say now, something temporal and something eternal are united. Whenever a human being says, 'Now I am living; now I am really present,' resisting the stream which drives the future into the past, eternity is. In each such Now eternity is made manifest; in every real now, eternity is present." (Tillich, "The Mystery of Time," in The Shaking of the Foundations). ↑ In his September 2010 Live Meditation (https://www.eckharttolletv.com/), e.g., Tolle expounds at length on "the dimension of depth". ↑ Both Augustine and later Boethius used the concept of the "eternal now" to investigate the relationship between divine omnipotence and omniscience and the temporality of human free will; and Thomas Aquinas' synthesis of Platonic and Aristotelian ontologies with Christian theology included the concepts of God as the "ground of being" and "being-itself" (ipsum esse). ↑ Novak, David (Spring 1992), "Buber and Tillich", Journal of Ecumenical Studies, 29 (2): 159–74 <templatestyles src="Module:Citation/CS1/styles.css"></templatestyles>, as reprinted in Novak, David (2005), Talking With Christians: Musings of A Jewish Theologian, Wm. B. Eerdmans, p. 101 <templatestyles src="Module:Citation/CS1/styles.css"></templatestyles>. Bruns, Katja (2011), "Anthropologie zwischen Theologie und Naturwissenschaft bei Paul Tillich und Kurt Goldstein. Historische Grundlagen und systematische Perspektiven", Kontexte. Neue Beiträge zur historischen und systematischen Theologie (in Deutsch), Goettingen: Ruprecht, 41, ISBN 978-3-7675-7143-3 <templatestyles src="Module:Citation/CS1/styles.css"></templatestyles>. Kaufman, Walter (1961a), The Faith of a Heretic, New York: Doubleday <templatestyles src="Module:Citation/CS1/styles.css"></templatestyles>. ——— (1961b), Critique of Religion and Philosophy, Garden City, NY: Anchor Books, Doubleday <templatestyles src="Module:Citation/CS1/styles.css"></templatestyles>. Kegley, Charles W; Bretall, Robert W, eds. (1964), The Theology of Paul Tillich, New York: Macmillan <templatestyles src="Module:Citation/CS1/styles.css"></templatestyles>. Łata, Jan Adrian (1995), Odpowiadająca teologia Paula Tillicha (in polski), Signum, Oleśnica: Oficyna Wydaw, ISBN 83-85631-38-0 <templatestyles src="Module:Citation/CS1/styles.css"></templatestyles>. McKelway, Alexander J (1964), The Systematic Theology of Paul Tillich: A Review and Analysis, Richmond: John Knox Press <templatestyles src="Module:Citation/CS1/styles.css"></templatestyles>. Pauck; Wilhelm; Marion (1976), Paul Tillich: His Life & Thought, 1: Life, New York: Harper & Row <templatestyles src="Module:Citation/CS1/styles.css"></templatestyles>. Thomas, George F (1965), Religious Philosophies of the West, New York: Scribner's <templatestyles src="Module:Citation/CS1/styles.css"></templatestyles>. Thomas, J. Heywood (1963), Paul Tillich: An Appraisal, Philadelphia: Westminster <templatestyles src="Module:Citation/CS1/styles.css"></templatestyles>. Wu, James; Tangunan, Wilfredo, "Paul Tillich (1886–1965)", in Michaud, Derek, Boston Collaborative Encyclopedia of Western Theology (article) <templatestyles src="Module:Citation/CS1/styles.css"></templatestyles>. Tillich Park Finger Labyrinth (PDF) <templatestyles src="Module:Citation/CS1/styles.css"></templatestyles>. 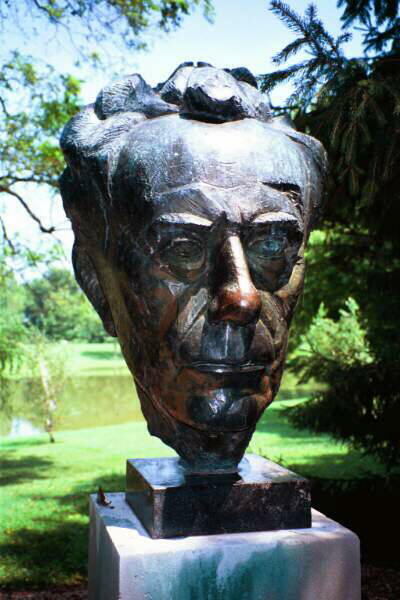 Walk Tillich Park while discerning Tillich's theology. Created by Rev. Bill Ressl after an inspirational walk in Tillich Park in New Harmony, Indiana. This page was last modified on 19 April 2016, at 08:02.